Kenny graduated from Hoggard High School in 1982 and attended University of North Carolina. There he received a Bachelor of Science in Mathematics in 1986 and then his Doctor of Dental Surgery in 1990. After graduation Dr. Morris was quick to return to Wilmington to become as associate with Dr. Clayton Smith while he began construction on his current office. The doors to his very own, newly constructed practice opened in May of 1991. 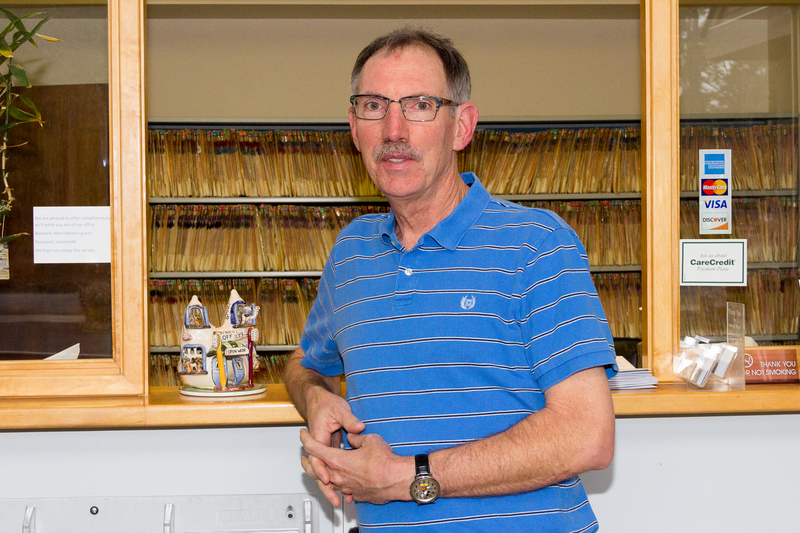 Here Dr. Morris practiced dentistry solo along with his staff until his wife Vicki joined him in 1996. Both doctors have worked together over the years to serve their patients providing exceptional dental care. Today, and as a child, Dr. Kenny has been an active member of First Christian Church (Disciples of Christ) located on Oleander Drive. He started our running 5K races and has progressed to the point that he has run numerous half marathons. And no, there are not any aspirations to run a marathon. He is a Tarheel born and bred and loves to get back to Chapel Hill to watch basketball and football games whenever possible. In his “free time” Dr. Morris enjoys deer hunting and running. Although he enjoys many outdoor activities his true passion is for offshore fishing in the Gulf Stream, both out of Wrightsville Beach and Hatteras Village, in the Outer Banks. Another true love of Dr. Morris’ is Disney World. He and his family are Disney Vacation Club Members allowing them to travel to the “Happiest Place on Earth” over two dozen times and counting. He is also no stranger to the Disney Cruise line, with several voyages under his belt. Dr. Kenny and Dr. Vicki have one grown son who graduated from the University of South Carolina with a degrees in International Business and Global Supply Chain & Operations Management.